Tuesday - Thursday 10 a.m. - 8 p.m.
Saturday - Sunday 9 a.m - 4 p.m. Unlimited use of the indoor practice facility. Sign up today! Register here. 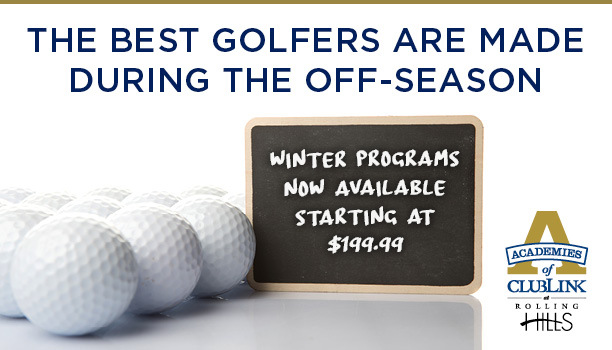 Includes unlimited practice, plus 10 one-hour private lessons. 10 hitting stations, chipping and putting green. No pre-booking necessary for practice bays. PGA of Canada golf professionals on site. Private golf lessons include video analysis. Access to HD golf simulator.